Fritz Tornow was a Feldwebel in the German Army (Wehrmacht Heer) who served as Adolf Hitler's personal dog assistant and veterinarian. Tornow had the task of taking care of Hitler's beloved German shepherd Blondi, as well as her puppies, and Eva Braun's dogs. Additionally, Tornow had his own pet Dachshund. During the last days of World War II, Tornow was one of the few remaining German personnel in the Führerbunker. During the course of 29 April 1945, Hitler learned of the death of his ally, Benito Mussolini, who had been executed by Italian partisans. This, along with the fact the Soviet Army was closing in on his location, led Hitler to strengthen his resolve not to allow himself or his wife to be captured. That afternoon, Hitler expressed doubts about the cyanide capsules he had received through Heinrich Himmler's SS. To verify the capsules' potency, Hitler ordered Dr. Werner Haase to test them on his dog, Blondi. Tornow had to force the dog to take one. He became visibly upset doing this, more so when the dog died as a result. Hitler became completely inconsolable after the fact and took his own life very shortly after. 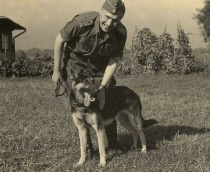 According to a report commissioned by Josef Stalin and based on eye witness accounts, Tornow was further mortified when he was ordered to shoot Blondi's puppies. On 30 April, Tornow took each of the four puppies of Blondi's from the arms of the Göbbels children, who had been playing with them, and shot them in the garden of the bunker. He then killed Eva Braun's two dogs and his own Dachshund by lethal injection. Hitler's nurse, Erna Flegel, said in 2005 that Blondi's death had affected the people in the bunker more than Eva Braun's suicide had. On 2 May 1945 the Soviet Army took control of the bunker complex. Tornow was among only four living occupants; the others were Dr. Werner Haase, the nurse Erna Flegel, and Johannes Hentschel. They all surrendered to the Soviet troops. In his book The Bunker by James O'Donnell states that Tornow was led out of the Bunker "raging mad in a makeshift straight jacket." Johannes Hentschel (10 May 1908 – 27 April 1982) was a German-Danish master electro-mechanic for German dictator Adolf Hitler's apartments in the Old Chancellery. Born in Berlin on 10 May 1908. Hentschel was hired on 4 July 1934. During the last days of the Third Reich, he was responsible for the machine room in the Führerbunker and he stayed in the bunker after everyone else had either committed suicide or left, as the field hospital in the Reich Chancellery above needed power and water. He surrendered to the Red Army as they entered the bunker complex and was released on 4 April 1949. Hentschel died in 1982 in Achern, West Germany. Gustav Weler was a political decoy (Doppelgänger or Body-double) of Adolf Hitler. At the end of the Second World War, he was executed by a gunshot to the forehead in an attempt to confuse the Allied troops when Berlin was taken. He was also used "as a decoy for security reasons". When his corpse was discovered in the Reichs Chancellery garden by Soviet troops, it was mistakenly believed to be that of Hitler because of his identical moustache and haircut. The corpse was also photographed and filmed by the Soviets. One servant from the bunker declared that the dead man was one of Hitler's cooks. He also believed this man "had been assassinated because of his startling likeness to Hitler, while the latter had escaped from the ruins of Berlin". A sensationalist 2006 book by Eric Orion entitled The Bush Connection, claimed that Otto Skorzeny himself shot Weler. 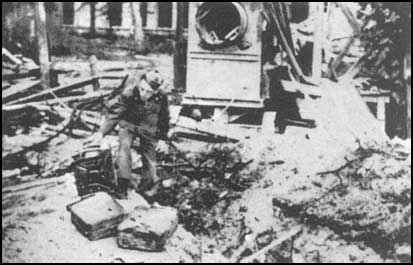 Weler's body was brought to Moscow for investigations and buried in the yard at Lefortovo prison. 99% of Google hits will just contain a single sentence "Gustav Weler was employed as Hitler's body-double, a political decoy who was shot in the forehead after Hitler's suicide, and his corpse put in a water cistern where it was discovered and photographed by Soviets who mistook him for Hitler"
Apparently he was known around Berlin for his amazing resembelance to Hitler. In prewar Berlin he was repeatedly arrested by Gestapo for impersonating Hitler and at one point ordered to remove the moustache. During the last year of the war Gustav Weler was again arrested and disappeared. which would mean that it's unlikely he was "employed as a political decoy", and instead was likely just remembered "Hey, that guy sitting in prison..." or something, it seems. Martin Bormann introduced Weler to Hitler at the Berghof, but the Führer was enraged and ordered that he never wanted to see the Doppelgänger again and that he was to be imprisoned in a concentration camp. Bormann, sensing that Weler could prove to be useful, disobeyed Hitler's order and hid Weler away in Munich. So who was he anyways? Why do we know nothing of him, in the millions of pages of captured German records we have no record of his being arrested, or where he was from? That seems odd, for a guy who was famously mistaken for proof of Hitler's death. How was the corpse identified as "Gustav Weler" anyhow? Who identified it? Did members of the RSD who supposedly executed him ever mention it? It has been wrongly reported that this man's name was Gustav Weler. However, this is not the case. Hugh Thomas's 1996 book Doppelgängers reports that Weler was indeed a Hitler lookalike but was located and interviewed by Allied forces after Hitler's death. During the spring of 1945, the German army was retreating from the European battlefield. The Allies, aided by British general Montgomery and American general George S. Patton, were pushing the German army back from the western occupied zones. The Russian Red Army was pushing the Germans back from the eastern occupied zone. It was now clear that Germany had lost the war and many of its soldiers were surrendering to the Allies. Although the Allied force's chief general Dwight D. Eisenhower was American, the Russians were given the affirmation to proceed and secure Berlin. April 30th 1945, Berlin is under heavy fire. Russian troops are blocks away from the Führer's Chancellery bunker, an underground fortress. As fleeing German officials and Generals made their way through the ruins that was once a proud city, Russian infantrymen penetrated the city. After they secured the Chancellery bunker, their goal was to bring the ultimate war trophy home to their leaders, Adolf Hitler. But nothing is found. Only remains that brought uncertainty and uneasiness to an otherwise successful Allied victory are suspected to be Hitler. The truth about Hitler's death intrigued the world since no official verdict or explanation can be offered. 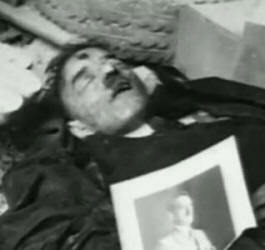 What actually became of Hitler's body? Several theories were spread throughout 1945, after Germany's surrender, that he Soviets' found Hitler and Eva Braun's body remains after what would be sought as a suicide and burning. Other theories indicated that Hitler escaped Berlin. Hitler's body was not found since it was semi-cremated, falsely identified and it presented no physical evidence that could be analysed. It was discovered not too long ago that the Soviets conducted, a year after the war, one the most profound and thorough investigation of Hitler's death. "Operation Myth" was conducted secretly and all the findings were hidden. In the investigation, four key characters such as Hitler's valet, bodyguard, pilot and telephonist were interrogated due to their presence during the last days of Hitler's life. One of them was Otto Günsche. "Anyway, the Russians were never in a position to display the remains of Hitler's corpse, as they certainly would have done if they had taken it away as they claimed" (Galante 162) says Otto Günsche, Hitler's top bodyguard who set his body on fire. The information the four men gave led the Russians to discover a skull with a bullet hole in it. The skull fragment was preserved but it was judged to be a long shot and never really took off. Therefore, it is most unlikely that the Russians ever found Hitler's body, as they claimed for several weeks after his death. The Red Army initially found the body that looked like Hitler but was in fact the corpse of A Gustav Weler, Hitler's "Droppelgänger" or body look alike. This corpse had a gun shot wound to the forehead. This discovery was a confusing step in the investigation as it drew a lot of controversy. But instead of celebrating prematurely, the Russians kept this discovery quiet and pursued with more interrogating. After having interrogated and tortured more captured German staff, the Soviet counter intelligence unit found the buried remains of two corpses outside the Chancellery bunker in the garden. The corpses were taken to a pathology lab for an autopsy. There five Soviet forensic scientists examined both corpses. They found that the male body had died of cyanide poisoning - which contradicts the theory that the captured German officers told them that Hitler shot himself through the right temple. Following these discoveries, Stalin announced that Hitler had not been found and had possibly escaped Berlin. The fact that Hitler's body had not been found created a series of beliefs that the Fuhrer had actually escaped and fled the ruined city. Stalin announced to Truman during lunch in Potsdam on July 17, 1945, 78 days after his death, that Hitler had escaped. From this announcement began the phenomenon of Hitler spotting across the world. Most notably in South America. Again nothing emerged from this and no substantial evidence delivered, thus rendering this phenomenon a wild ghost chase. Many post war magazines featured articles on Hitler still alive and hiding. Magazines such as"The Plain Truth proposed that Hitler might be in the South Pole. CBC's As it Happens broadcasted that Hitler ordered a special plane to convey all X-rays and dental records of top Brass Nazis for an unknown destination. South American newspapers that have claimed to have seen him 10 years after the war ended. More and more of these articles appeared in all sorts of publications, radio and TV broadcasts around the world. But none of these allocations were built with solid evidence. They were rather wild testimonies of post war fanatics who say and hear all sorts of things to stir suspicion. No follow-ups of these were ever conducted. The only people interrogated were the men and women who were with Hitler in his last days and they gave their testimonies. Almost all captured German officers that were with Hitler during his last hour told their Russian captors that he shot himself in the right temple with a pistol and was subsequently taken outside to the garden and cremated with gasoline in the open air then buried in a shelling crater. During a cremation in a crematorium, the heat that is reflected off the walls is so intense, that all organic matter is destroyed. But in an open air fire, much of this heat is lost therefore rendering the destruction less powerful in a crematorium. 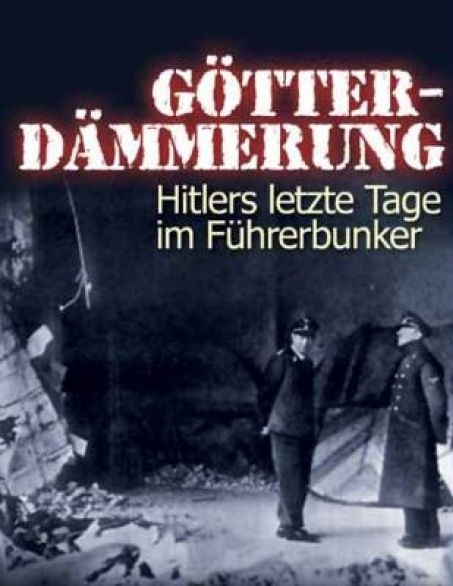 "People have said that human bodies can't be entirely consumed by fire in the open air - Baur himself, who had seen corpses burning in an aeroplane, thought not- and that a proper cremation installation is needed if there are to no remains" (Galante 162) Baur was Hitler's pilot. When all bodily tissues and fluids are burned away, the only thing that remains is fragile calcified bones. As a result, it is very unlikely that anything resembling a human corpse remained following Hitler's burning. Nothing that the scientific knowledge in that period could identify and prove it to be Hitler's. Now investigators had to rely on information sources such as Harry Mengerhausen. The only person who claimed to have seen Hitler's corpse is Harry Mengershausen, a captured German who was released some time after the war. He recalled the place where the remains were buried in the garden of the Chancellory bunker. But the garden was an immense field of craters. Mr. Mengershausen spoke of a specific crater among all of the craters. Indication of a lie is obvious here. Later on, Mr. Mengerhausen said he was brought from his prison to an open pit in the woods to identify three corpses. The corpses had been identified as those of Hitler and Herr and Frau Göbbels. Mr Mengerhausen claims to have clearly recognized Hitler by the shape of the head, the distinctive shape of the nose and the missing feet. It is impossible that Mengershausen was able to detect the distinctive shape of the nose since it has burned like all the soft tissues of the body. Mengershausen is telling a story in great detail as usual that simply does not fit the circumstances. Also it is now known fact that the Göbbels was partially burnt outside the bunker. Their bodies were identifiable and were displayed by the Soviets and photos are available. This recognizing of the bodies was a totally unscientific procedure. Therefore, Mr. Mengerhausen's testimony to the Russians is an obvious misleading statement and unreliable source. Following the interrogation of the captured officers, a line of doctors and physicians that worked on Hitler was brought in to answer questions. The questions were relating to Hitler's physical traits and distinctive features. However, none of them actually examined any physical evidence. None were given any corpses or bone fragments to examine. For example, a dentist that worked on Hitler's teeth was brought in to draw by memory a diagram of Hitler's teeth. Apparently the drawing matched that of the sample they found. It would have seemed unlikely that a dentist could have remembered the structure of a man's teeth without consulting some form of documentation or evidence. Memory itself is a crude method of fact gathering and completely unscientific. This would lead to the conclusion that the Russians never found his remains. Or it could also have meant that the Russians kept a series of remains and depended on the testimonies of those physicians in order to identify a possible match. But again, no concrete or solid evidence was shown. To this day, no trace or whereabout of Adolf Hitler is known, or will it ever be. It is a true mystery. Hitler's body is unaccountable due to weakness in scientific, misleading and unreliable sources and the destruction of what little physical evidence that existed. We can so forth draw the conclusion that Hitler's remains were destroyed shortly after his death. All rumours or theories on him being still alive are also eliminated. As for the Russians having his remains, there is much doubt that at anytime during the investigation they had Hitler's remains at all or were even close to them. But are we ever going to find out what happened in that bunker? In many ways Adolf Hitler succeeded in his plan to destroy his body so it may not be displayed like a war trophy. And like the man himself, his death is a true mystery of horrendous and gruesome events. Galante, Pierre, Voices from the Bunker, G. P. Putnam's Sons, New-York, 1989. Joachimsthaler, Anton, The last days of Hitler, Arms and Armour, London ,1996.